Inversions are a cornerstone of Iyengar Yoga. Empower yourself by learning how to invert with confidence. 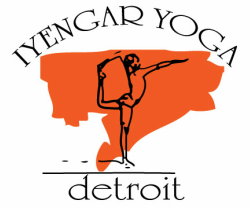 For students with at least 6 months Iyengar Yoga study, explore inversions with a sense of play and safety. We will prepare for inversions thoroughly and practice a variety of upside down poses, with variations and modifications as needed.